Children with Asperger's Syndrome typically have trouble making and keeping friends, but parents can assist them and show them the way. All children want friends. If you have a child with Asperger's Syndrome or know someone else who has this, please be patient and kind. We all have feelings and we all live in the same world. We need to make it a kind and a friendly place for everyone. What can you do as parents, or adults who work with a child who has problems such as these? First, take a step back and educate yourself, and realize how badly this child wants to "connect" to and with others. We are all social animals who want and need to connect with other people. Certain children, more than other children, just need us to hold their hand and show them the way. Let me help you show them the way. According to the DSM IV (The Diagnostic and Statistical Manual), the disturbance causes clinically significant impairment in social, occupational, or other important areas of functioning. Asperger's Syndrome presents as a group of problems that some children (and adults) have when they are trying to communicate and connect with others. They have a difficult time understanding other people. It also presents with some forms of learning disability, specifically, Nonverbal Learning Disability. We can then say Asperger's Syndrome is a developmental disorder that affects a child's ability to socialize and communicate effectively with others. Children with Asperger's Syndrome typically exhibit social awkwardness and an all-absorbing interest in specific topics. They can hear what others say to them, but they don't pick up the 'non-verbal' part of communication, so they often don't get the full message. (Non-verbal Learning Disability) In addition, it is sometimes called an 'Autism Spectrum Disorder' because it is a bit like autism. It was named after the children's doctor who first identified the syndrome, Dr Hans Asperger of Vienna. Having difficulty with social skills can lead to rejection by peers, self esteem problems as well, and add to academic struggles. The good news is that there are many things that can be done to assist children so that they get a chance to have more satisfying social relationships and feel better about themselves. Educate yourself. Learn as much as you can about Asperger's Syndrome. Patience and persistence; follow through always. It is really important to catch children "being good" vs. "being bad". Tell them what you notice when it is good. It is more important to reinforce positive constructive behaviors in them. Do this day and night. This approach creates success in children. 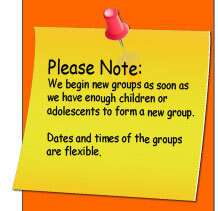 Arrange for and offer a variety of opportunities for play and socializing, with supervision of course. Aspie children do not naturally know how to be a friend. But remember in order to have a friend; all you have to do is "be a friend". Help them know how to do this. Help your child to understand that they have to listen as well as talk. Reinforce and notice the times they do this well. Break tasks down into manageable parts and provide explicit step-by-step directions. Teach and practice organizational skills. Again reinforce the positive to your child. Let them know you "notice". They like things to happen the same way all of the time. Be consistent at home. Educate the teachers working with your child; Educate family and sitters. Provide support to your child. Help others help your child. Most children with Asperger's Syndrome have no visible sign of disability. Help your child turn their obsession into a passion. Aspie children tend to fixate on a particular narrow topic. This is one of the hallmarks of Asperger's Syndrome, and it can be annoying to those who must listen to and about the topic every day. Help them understand the other kids do not like this. Model positive self-talk. Parents can demonstrate for the child some inner dialogue that may not come naturally for many of these children. This requires the parent to "think out loud". For example, "Hey, it's hard for me to wait, but if I can, people won't get mad and I'll have a better time". They may be targeted by bullies because they easily get upset. Teach them to just walk away and to find another child they do like. Use television to assist you with them. Besides being an opportunity to just be together, watching T.V. with your child affords parents the opportunity to see how their child is interpreting what is happening on their favorite shows. Ask your child, "What do you think is going on", "What is she feeling right now? ", and "What do you think is going to happen next"? Children with difficulty processing language or non-verbal cues may misinterpret what they are hearing and seeing. Reinforce the positive. Aspie children may think that other kids have done something deliberately to hurt them when they have accidentally bumped into them. Talk every day with your child. Go over their feelings and teach them what they do not understand and know naturally. Surround yourself with a team of qualified professionals. You'll need to make important decisions about your child's education and treatment. Find a team of teachers and therapists who can help evaluate the options in your area and explain the state regulations regarding children with disabilities. This will also offer you support. Medication. There are no medications to treat Asperger's syndrome. But some medications may improve specific behaviors such as anxiety, depression or hyperactivity, which can occur in many children with Asperger's Syndrome. Talk to your doctor. It is true, new pathways in their brain are being created everyday when we help these children learn new ways and success. Keep your chin up when things are not going well. Go ahead and empathize with your child's pain, but it is not your pain and they will survive as we all have done. They need you to stay up beat and focused on how they want it to be and how to make that happen. Making friends is a lifelong process and like everything it has its ups and downs.